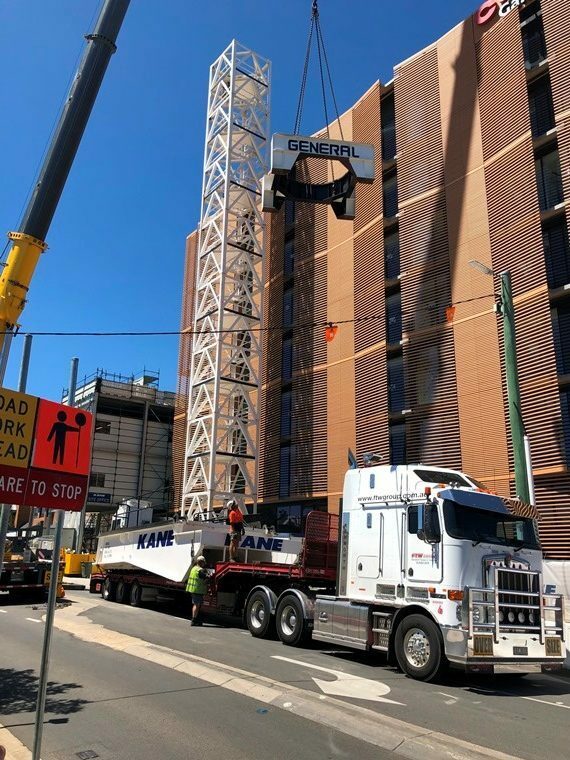 Construction of the new Cabrini Health Gandel Wing is coming along, with some major milestones met recently. The scaffolding was removed from the perimeter of the building in December, revealing the 19,220 terracotta baguettes that surround the façade, which is a striking design feature of the building that compliments the existing hospital and surrounding neighbourhood. The baguettes cast interesting shadows throughout the day, which has an intriguing affect while providing privacy for patients and neighbours. There has been a lot of positive feedback about the façade, with the design generating a lot of interest in the community. The crane has been removed, signifying the completion of the majority of the structural works. The building is almost watertight and the roof and plant operations have been installed. Joinery and floor finishes are now being undertaken throughout the building and a prototype room on Level 1 is nearing completion, which will allow hospital staff to be given full training of the equipment that will be housed in the new building. The radiology area in the basement now has electricity supply connected and is undergoing final painting and touch-up works. Internal lifts are currently being installed and the first lift for builders use is expected to be completed in February. The breakthrough of the walls dividing the existing hospital to the new Gandel Wing is currently taking place, which will be revealed when the first patients are transferred to the new building. Kane’s site office will be dismantled in late March and will be relocated to the new building for the remainder of the construction works. Interest is increasing as the building gradually takes shape as it nears the final stages of completion.